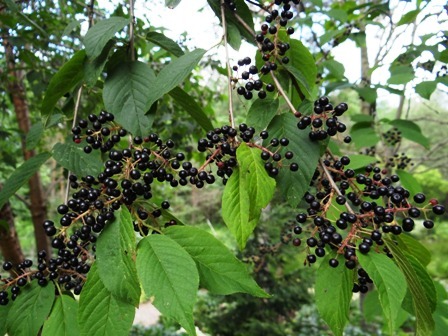 Amur chokecherry is a popular ornamental plant that also bears edible fruits. Though this tree is native of Korea, yet it has been named after Amur River that flows for 1800 km between China and Russia forming a natural boundary between the two countries. 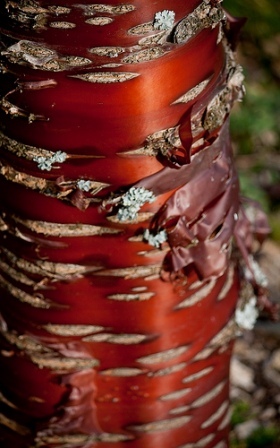 The tree is very popular with gardeners of North America because of its attractive bark with bronze metallic sheen. It is a fairly hardy tree. A small to medium deciduous tree, 4–10 m tall with blackish to yellowish brown branches. Leaves elliptic, rhombic-ovate, or rarely oblong-obovate, 4–8 × 2.8–5 cm, abaxially pale green, purplish brown glandular, and pubescent on midvein, adaxially dark green and pubescent to subglabrous on veins, base rounded to broadly cuneate, margin irregularly and acutely glandular serrate, apex caudate-acuminate to shortly acuminate. Flowers 8–10 mm in diam borne on 5–7 cm long, many-flowered racemes, pedicel 4–6 mm, to 7 mm in fruit, sparsely pubescent, glabrescent; hypanthium campanulate, outside pubescent; sepals triangular to ovate-lanceolate, soon caducous, outside pubescent, margin irregularly glandular serrate, apex long acuminate; petals white, oblong-obovate, base cuneate and shortly clawed, margin apically erose; stamens 25–30; ovary glabrous, style slightly shorter than stamens; stigma disc-shaped. Fruit a drupe, purple, sub globose, 5–7 mm in diameter, glabrous. Fruits are edible but not so palatable for eating fresh. These are, however, processed to make juice, jelly and jam. 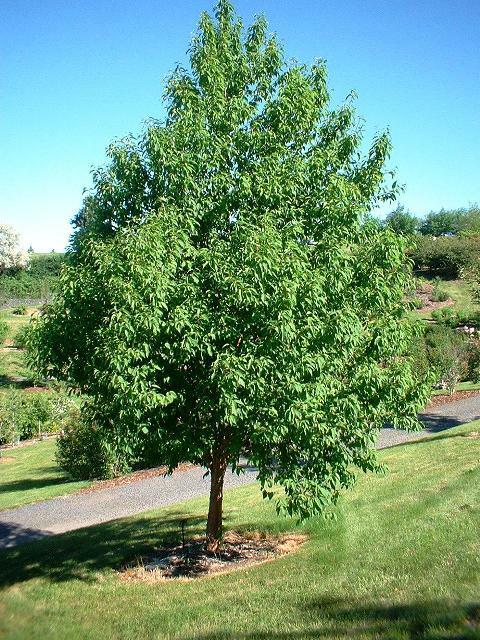 As already stated, Amur chokecherry is grown for landscaping. The Canadian city of Calgary has planted Amur chokeberry trees in large number as boulevard trees. 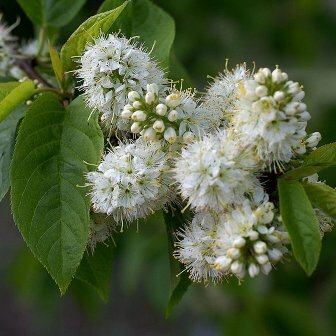 Amur chokecherry trees do best in moist, well-drained soil high in organic matter. But it is also moderately salt tolerant and can withstand some neglect and abuse. Some corrective pruning has to be done to keep the trees open and to remove the lower branches so that the attractive bark remains visible and can be seen throughout the year. Amur chokecherry can be propagated by seed as well as by cuttings. The trees are easily available at the nurseries. One improved cultivar of Amur cherry, “Goldrush” is also sold by some nurseries.